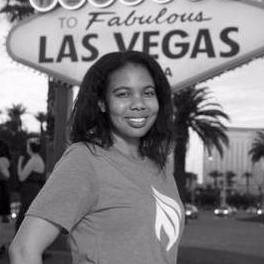 Shavonnah Tièra Collins, a longtime innovator and doer within the startup community in Las Vegas, was recently named as the Managing Director of the RedFlint experience center. The center is on track to open in downtown Las Vegas this month. As part of our Meet VegasTech Community Members series, we talk with Collins about the new role and how you can support her efforts in the community. Collins noted one thing that can happen when you show up time and time again is that you can spread yourself thin or be pulled away from your purpose – and quickly. Collins says a challenge for her in her new role will be sharing the story on how the entrepreneurial and startup in Las Vegas intends to be a partner within the larger ecosystem in Southern Nevada. Anyone interested in technology or business (or both!) are invited to come into the RedFlint experience center, take a tour, play with the tech in their showcases, or attend a workshop or event hosted by the greater community. The rest of 2016 is looking to be a busy time for the RedFlint experience center. From Technology and Business showcases to a Speaker Series and Hackathons. “Iron Yard Venture Accelerator teams are recruited and are building transformative products for the hospitality, entertainment, and gaming industries,” added Collins. Help Collins and the RedFlint experience center achieve success. Collins encourages community members to bring forward your ideas.